I'm delighted to be here, once again, at Hong Kong Disneyland. Just 10 months ago, I opened the show "Moana: A Homecoming Celebration". 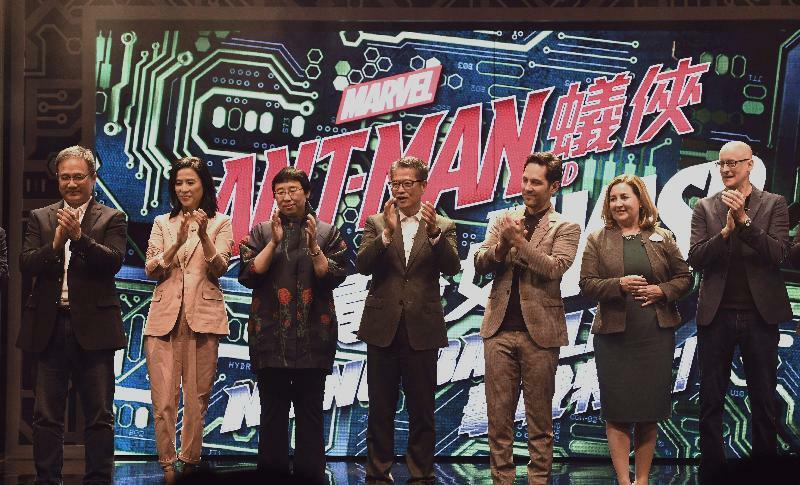 And here I am, once again, to welcome Ant-Man and the Wasp to Hong Kong. I'm not saying this is better than giving the Budget Speech, but I don't recall meeting any superheroes that morning in the Legislative Council Building. With all due respect to Mr Rudd, this is much bigger than Ant-Man. We're here today to formally launch "Ant-Man and The Wasp: Nano Battle!" 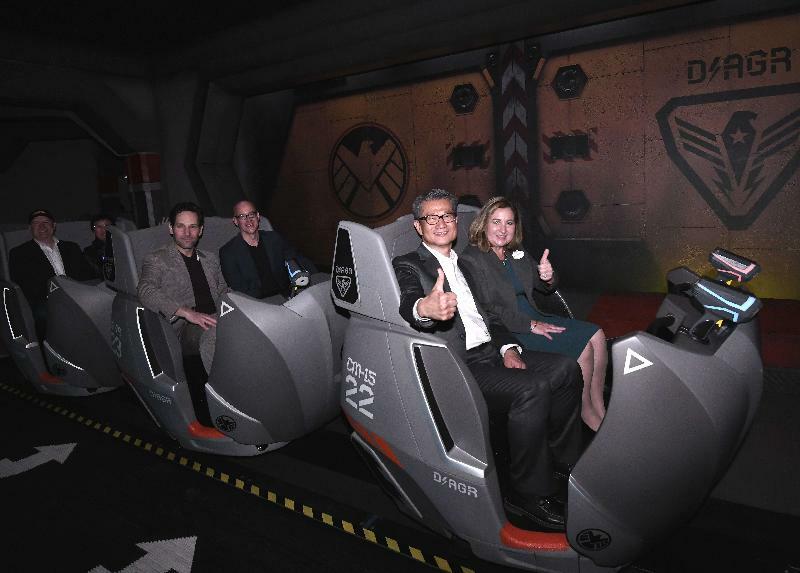 This high-tech interactive adventure is the first Marvel attraction based on the "Ant-Man and The Wasp" movie at any Disney theme park in the world. 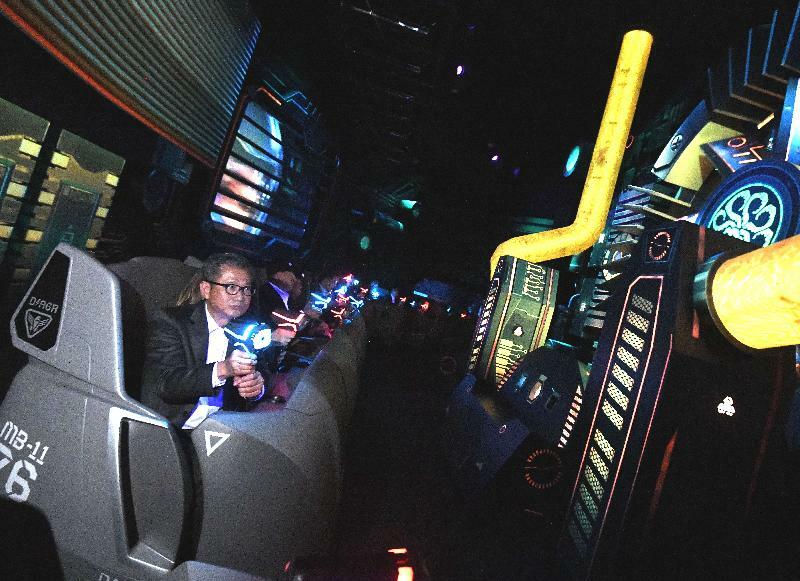 It's also brilliantly linked to Hong Kong Disneyland's "Iron Man Experience". Thrill seekers, myself included of course, get to join Ant-Man, the Wasp and Iron Man as they battle it out with Hydra and the Swarmbots in defence of Hong Kong. The adventure's state-of-the-art gaming features are cinematic in scope, production values and storytelling. Not surprising, given that "Ant-Man" director Peyton Reed and his movie production team helped in producing this attraction. And that Paul Rudd and Evangeline Lilly, also known as Ant-Man and the Wasp, also star in Disneyland's Nano Battle. What makes the innovative experience even more inviting is the local storyline created just for Hong Kong Disneyland. And down the road, I know there will be more Marvel superheroes to marvel over, creating Asia's ultimate hub of exciting Marvel experiences at Hong Kong Disneyland in the years to come. Hong Kong Disneyland has been a major tourist attraction since it opened in 2005, attracting more than 77 million visitors from all over the world to date, here to enjoy the Disney magic. That, in turn, has brought significant economic benefits and employment opportunities to our tourism-related businesses. The Disney magic will continue to bring us fabulous attractions, including a reimagined castle with new stage shows, and a novel theme area featuring the princesses Elsa and Anna from the mega-hit movie "Frozen". Hong Kong's expanding ties with the Mainland of China, including the opening of the Hong Kong-Zhuhai-Macao Bridge and the Hong Kong Section of the high-speed rail between Guangdong, Shenzhen and Hong Kong, will create new markets, and new fans, for Hong Kong Disneyland. Even more so as the vast Guangdong-Hong Kong-Macao Greater Bay Area development comes together, over the years and the decades. 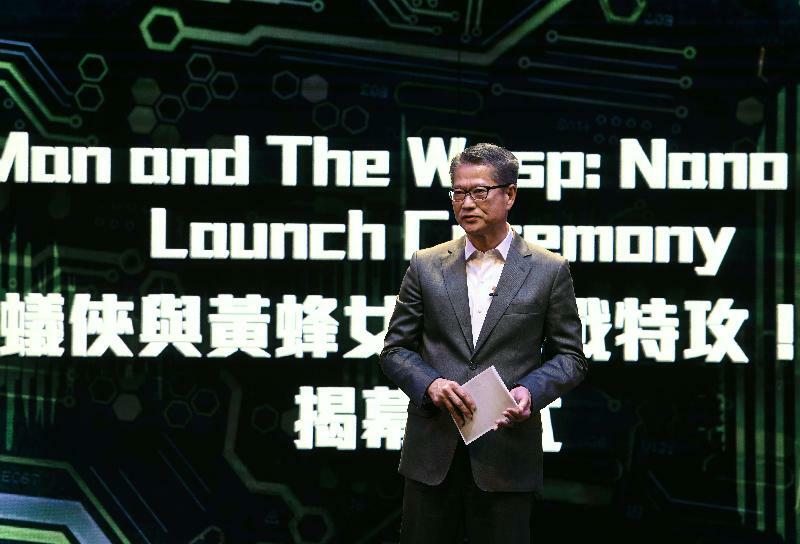 In short, ladies and gentlemen, ants and wasps, as Hong Kong's rewarding connections continue to grow, so, too, will Hong Kong Disneyland's. Together, we will excel. Together, we will also vanquish Zola and the Swarmbots. I look forward to that in just a few minutes.